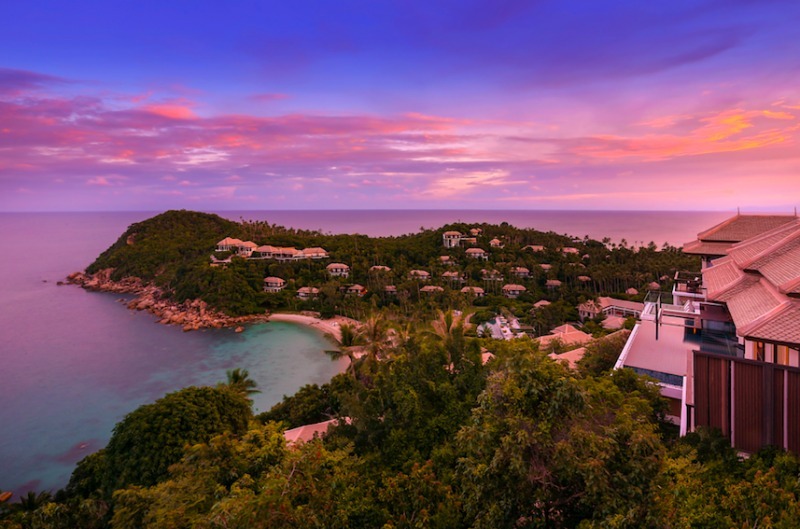 On the South Eastern coast of Koh Samui in Thailand, you’ll find Banyan Tree Samui – each one of its perfectly formed 88 private enclaves, nestled into the picturesque hilltops in lush tropical surroundings overlooking the stunning Lamai Bay. Even though Banyan Tree is a huge brand, each particular resort has its own unique style owing to the environment and surroundings in which it is placed – here, Koh Samui is also known as the Coconut Island and so you’ll find the influences everywhere, down to design and even food and cocktails. The resort is expansive and while you can walk around on foot (which is where you’ll really get to be at one with nature), you can easily call a buggy at any time to take you from one area to the other. A really fantastic way to see the natural beauty of the resort, is to take a guided nature walk, or snorkelling tour with the resident marine biologist. You probably don’t need me to tell you how luxurious the Banyan Tree villas are. You’ll be able to see from the photos, that this ‘sanctuary for the senses’ offers the very best accommodation in a traditional Thai style design. Each and every villa has the luxurious benefit of its own private pool and jacuzzi, while some of the larger villas set highest into the hilltops have infinity pools which look like their literally dropping into the sea! Our beautiful Ocean Pool Villa boasted a huge pool and sunken comfortable lounge area, amazing sea views (of course), and an expansive sun deck area – the perfect place for breakfast watching the sun come in, or an early evening barbecue. Indoors, the villas have a fluidity which carries through from the entrance and lounge area, to the bedroom and bathroom with walk in closet. Whether your preference is open plan living or otherwise, you can easily close the sliding doors to section off each area should you wish to. With a large rain shower and bath tub (which also comes with its own bath menu – fancy a Honeyed Milk and Rose Beauty Soak), the best part about staying in these villas has to be the view when you awake in the morning with its king sized bed facing outwards so you can take in the breath taking beauty of the pool outside and the ocean beyond. 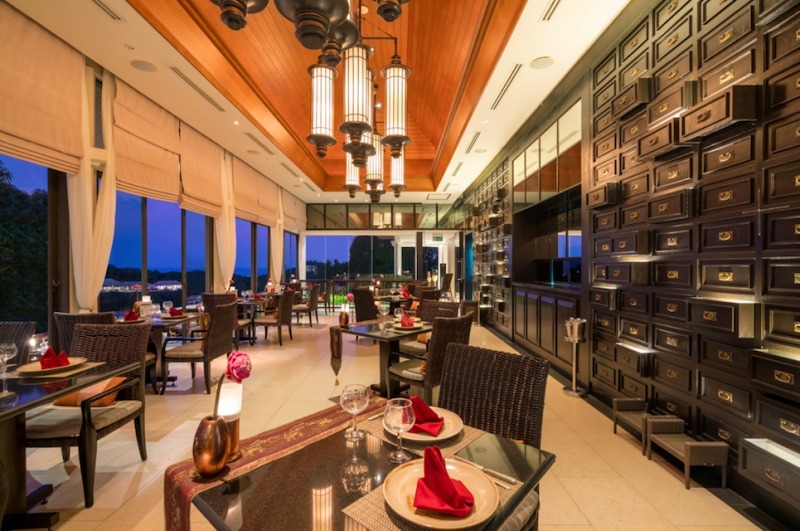 Leaving the villa is hard and also there really is no reason to, with room service and everything you could ask for just a phone call away, but of course, you should definitely dine in one of Banyan Tree Samui’s restaurants. Saffron – the Banyan’s signature Thai hilltop restaurant serves up delicious Thai cuisine and amazing cocktails – try the Tom Kha – Phraya Premium Gold Rum, Malibu, Galangal, Coconut Cream, Lime, Lemongrass, Red Chili, Kaffir Lime Leaf. While Sands restaurant on the beach front, is a more casual affair with a barbecue on Saturday nights. Here you can enjoy fresh meat, fish and salads against a back drop of live music, fire twirling and lanterns on the beach. Along with the spa and gym, Banyan Tree Samui also boasts the island’s only hydrotherapy wellness centre with The Rainforest experience. Guaranteed to cleanse, detoxify and boost circulation through a number of stations including the rain walk, hydrotherapy pool with massage jets, sauna and ice fountain, you can also relax on the hot stone beds wrapped in warm towels whilst sipping on sweet matcha tea before you head back to your sanctuary. Feeling adventurous? Be sure to indulge in any one of the amazing water activities offered by the resort – from paddle boarding to kayaking and snorkelling to surfing, there’s also speedboat excursions available to really get out on the ocean and explore. 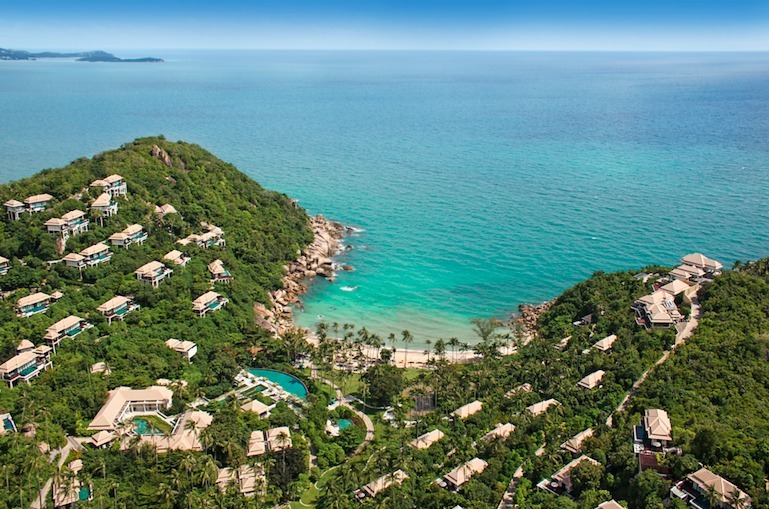 Banyan Tree Samui’s villas are nothing short of paradise. If you’re visiting the Coconut Island, then this is a resort which you really must experience for yourself, and all just 30 minutes from the airport.